Replacement cross spikes are a thing. Sometimes, despite everything we do to prevent accidents occurring, they do. rolling off the boot of the car when you were changing spikes and using said car as a convenient workbench. The last thing you want it to have to throw away set of spikes because you’ve lost one (or even two) of them. 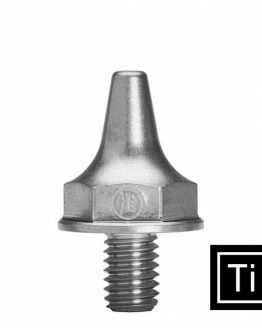 Here is your solution – select the material (Stainless Steel or Titanium) and the length/style you require, and we’ll send you out a replacement spike. Please get in touch via the Contact Page if you need more than a single spike, we’ll sort something out if you require 2 or 3.